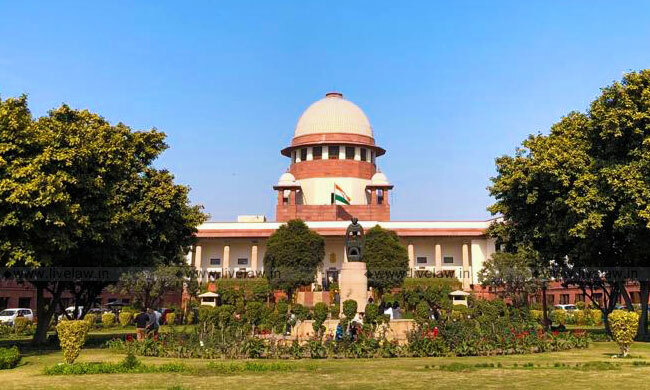 A bench of Justice DY Chandrachud and Justice MR Shah dismissed the appeal of NRL against the NGT order dated August 3, 2018, by which the tribunal had refused to review its order of demolition passed in the year 2016. The NRL had told the court that it had demolished about 1 hectare of the wall in March last year and the entire wall need not be demolished as the same is not a part of the Deopahar Reserve Forest. Dismissing its appeal, the apex court orally said on Friday that elephants have first right over the forest. It is to be noted that the NRL had, in the year 2011, erected the wall with barbed wire and razor edge fencing right in the middle of elephant corridor for expansion of its township which also boasted of a golf course. Environment activist Rohit Choudhary, who has been fighting legal battle for the protection of Kaziranga wildlife and illegal mining, moved NGT against the erection of wall and highlighted how the wall in question segregated the township from the rest of the forest area and has claimed lives of 12 elephants as they moved along this corridor for food. The wall is encroaching upon the Deopahar Proposed Reserve Forest as well as the No Development Zone. Deopahar is in close proximity to the Kaziranga National Park, which is a UNESCO Natural World Heritage Site and is home to one-horned rhinoceros. It was on his petition that the NGT had in the year 2016 ordered thus, "As regards the wall with barbed wire fencing which comes in the way of Elephant Corridor, the same should be demolished. The area, where the wall has come up and the proposed township is to come up is a part of Deopahar 'PRF'. It also falls within the No-Development Zone notification, issued by the 'MoEF' in 1996. Thereby, any non-forest activity thereon would be in violation of the decision of the Apex Court in the T.N. Godavarman case (1996). Thus, the wall should be demolished within a period of one month and the proposed township should not come up in the present location." The NRL had then moved the review application saying its township project had the clearance of the State Environment Impact Assessment Authority and that the entire wall need not be demolished as the same is not the part of Deopahar Reserve Forest. The same was also dismissed by the NGT which held that, "We are of the view that in view of categorical finding already recorded by the Tribunal (in its 2016 judgment) that the area where the wall came up and the area where proposed township is to come up is a part of Deopahar Reserve Forest, rehearing on merits is not permissible…Accordingly, we do not find any ground for review of order dated 24.08.2016".